This exercise is great for the dog who is way too interested in squirrels to focus on you when you're on a walk, or way too distracted by the other dogs to concentrate on the exercises when you're in your agility class. The exercise helps the dog reorient to you by showing him that focusing on you is what's really rewarding...not by punishing those times when he is distracted. Choose a behavior to work on, and an enclosed, low-distraction area like a fenced yard or large basement to work in. Behaviors you might work on include Go to place, walking in heel, or even playing tug of war. Have a chair for you to sit in. Start working on your behavior, rewarding your dog frequently. If you're doing Go to Place, reward your dog frequently as long as he's on the mat. 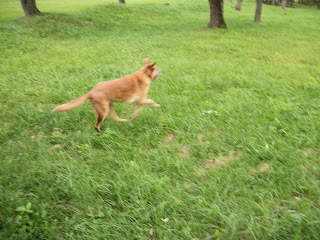 For Heel, walk in a circle and reward as you walk and your dog stays close by you and gives you his attention. After a minute or so of working, say your release word like "All Done" or "Break" and turn away from him and go sit in your chair. If your dog disengages first by looking away or going away from you to sniff, immediately go sit in your chair. For up to a minute, allow your dog to sniff around and do his thing while you stay in your chair. Do not talk to him during this time; remain unengaged. The second your dog reorients to you--glances your way, turns an ear towards you, or comes up to you in your chair, you want to reengage him in your rewarding exercise. Resume walking, going to mat, or doing whatever you were doing, with a high rate of reward. If he does not reorient to you, reengage him and resume the work you were doing . Very gradually extend the time of your training sessions, but keep them short enough that your dog does not choose to disengage before you say your release word. Lamar taking a big break! The goal of this exercise is that your dog becomes less interested in distracted sniffing around, because focusing on you is so rewarding. As dogs practice, they quickly get to a point where they don't even want to take a break--instead, they remain focused on us when we give the release cue and ask us to keep working. 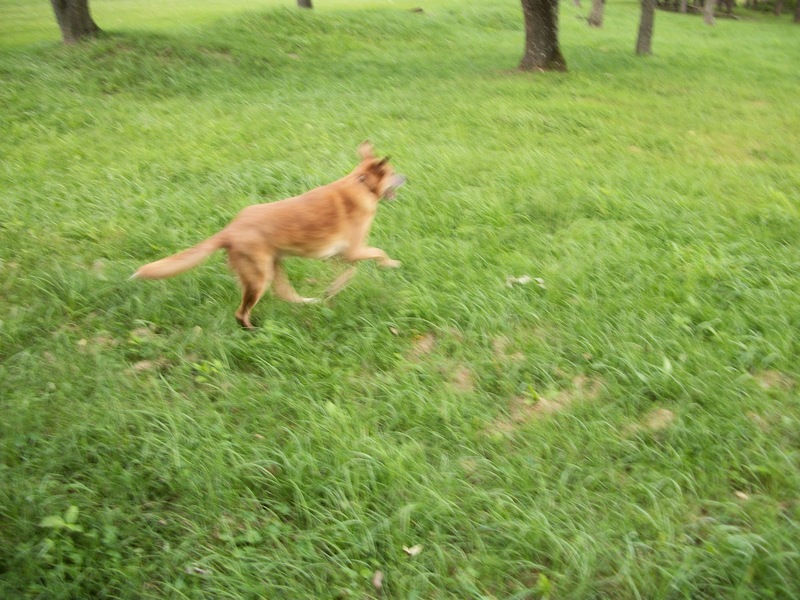 If you work on it in low-distraction environments until your dog is reliably reorienting to you after you release him, you will gradually be able to count on his attention even in very distracting environments--like in the backyard with all those squirrels!